As we move into 2017 and the new year many will be looking back on the previous 12 months, thinking about what has happened, what we have done and what we will want to do for the next 12 months going forward. 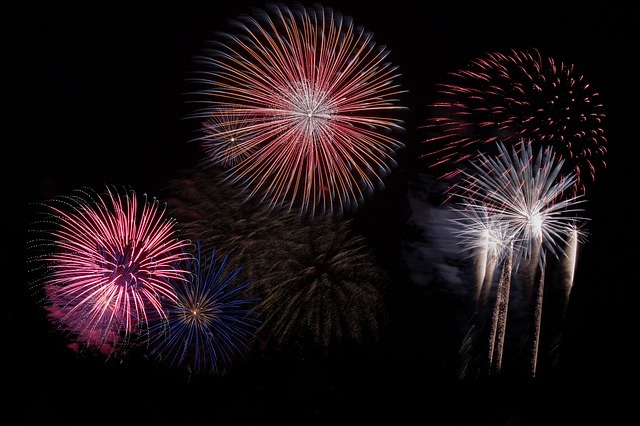 What will our news years resolution be? A diet? Peaceful? Something different? All good intentions aside, we all enjoy the Christmas spirit and what it brings. Peace to all men, love, caring, thinking of others etc. So why is it then, that we can not enjoy the spirit of Christmas all year? What stops us caring for each other? What stops us hating each other? Resenting each other? A massive divide because of colour, religion, sexual orientation, ability, education or anything else that makes us different? Why is difference seen as something that is detrimental to each other? Why can’t we enjoy our lives, respect each other and just get along? Humans are one of the only species that kill for the sake of it, because we want to, because there is a difference. Our skin tones, our religion, our beliefs, our morals, all different. But wouldn’t it be boring if everything was the same? My grandparents hated the Germans! After what happened in the war, in their generation they could be excused for their beliefs. However, when you stop and think about it, we are really all the same. We all have parents, most of us have siblings, children, nephews, nieces etc. We all (in general) want to have a peaceful life, with no hatred towards each other. To live in peace, to find a common ground in which to move foreword. However, when simple things get in the way, such as when we are driving, the difference in each of us, behind the wheel is staggering, not letting people out of junctions, road rage. All to our own. How are we supposed to have time for anyone “different”? I sometimes come across and can be perceived by others as “nationalistic”. It is true, I love my country, but that doesn’t mean I think we are better than everyone else, it doesn’t mean I think nothing of anyone that wasn’t born in the United Kingdom of Great Britain and Northern Ireland. It doesn’t mean I’d treat those that are not British different from anyone that is British. Wouldn’t the world be a better place if we all just gave some time and space to others? To do what they wanted! After all how much does it really impact on our own lives, what others do? Who cares what your God is called, what you do for a living, what your qualifications are, what your colour is, what your nationality is, what your sexual orientation is. Whatever it is, that is you, that’s what makes you so amazing, another unique person on this planet. So, as we move into 2017, think about your New Years resolution, if needed, write it down. But remember it. Why not make your resolution this year to embrace everyone, to not judge and to give as much love as you possibly can. If we all did this and stuck to it, wouldn’t the world be a much better place? Wishing you all a healthy and happy 2017, what else could you possibly want. May those that start the new year in your lives, end the year with you. May all your family and friends be kept safe and well, may we all get on, and perhaps the world would be a much better place. All it takes is a few people to change their ways to make a massive difference. I have lived and worked in Torquay my whole life and love Torbay. 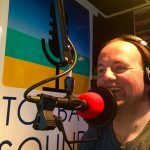 I work as a broadcaster on music Mill FM and Torbay Sound too. I co-own my own Disco company, and love to travel. Although traveling is my hobby, there's nothing better than returning home to Torbay, back to gorgeous views and that lovely sea air.